By Maxwell Deering on Nov 12, 2012 - 36 Comments. Five years. Five long years. That’s how long we’ve been waiting for the inevitable. That inevitable is Halo 4. Since 2007, we were teased with its existence. It was never a question of “if”, but of “when”. But that “when” is now, and after years of waiting, Halo 4 has finally landed. I can tell you, its definitely been worth it. Halo 4 is massive, and that’s an understatement. Its so big, I can’t even begin to describe how amazingly ambitious and huge it really is. So much so, that in a weird way, it feels like the first time in a long time that an FPS game has shipped as a completed and polished package that delivers on every level. It’s one of the few games to attain such a level of hype, and ambition, and one of the few to actually deliver on all fronts. It’s also a contender, if not winner of Game/Shooter of the Year. Trust me it’s that good. So where to begin? How about where it counts, and with what matters most; the gameplay! So, in a nutshell, the gameplay remains largely the same as the past Halo’s – Armor Abilities, weapon pickups – the whole nine yards. What’s different, you might ask? Everything. For one, the AA (Armor Abilities) are well balanced. Nothing is overpowered like the Armor Lock from Halo: Reach. In fact, all of the AAs are well balanced against other players and the actual gunplay. The Hardlight Shield, for example, replaces Armor Lock and favors mobility while in cover, instead of stationary invincibility, allowing players to move while holding a shield in front of them, though they are slowed down and cannot fire weapons. Other additions, such as my personal favorite, like the Thruster Pack, allows players to go in any direction they please for only a few feet. Most players seem to disregard this ability as useless and would rather use the Autosentry (a floating stationary turret that is extremely efficient at suppressing enemy players), but I find that the Thruster Pack is much more useful and has saved my life on multiple occasions. Its’s a great way to get out of sticky situations with your shields down. Now, I will say that the Regeneration Field is a bit of a let down, as it only pushes opponents back and does a poor job of protecting it’s users. But, then again, this was the same way in Halo 3, albeit without the pushback. Overall, the AA’s do a great job of switching up the gameplay and making each encounter different and challenging. Obviously, the gunplay is one of, if not the most important aspect of the game. And do the guns deliver! 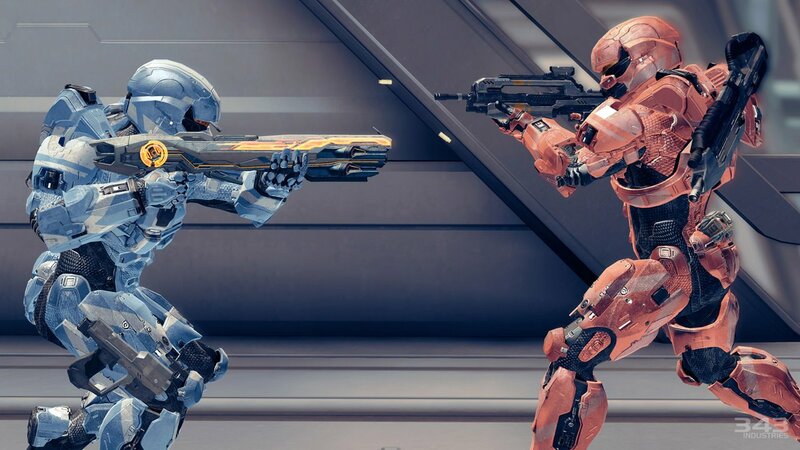 Returning weapons like the DMR, Battle Rifle, Covenant Carbine, Assault Rifle or the new additions like the Light Rifle make each and every player feel like a true blue Spartan as you murder your friends with such visceral ease and accuracy. 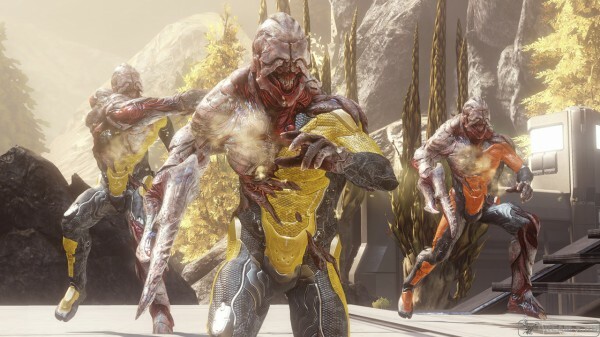 New weapons like the Covenant Storm Rifle are lackluster and useless as for some reason, the Covenant like carrying non rechargeable weapons on the battlefield. Power weapons like the Sticky Detonator are wickedly cool as you can purposely miss a shot and still blow your friend up six ways to Sunday, add to that the new UNSC SAW LMG, which eviscerates multiple opponents in mere seconds and the fear inducing Forerunner Binary Rifle. I can safely say this beast puts the fear of God in me (trust me, when you see that orange light, you better do two things: 1. Make sure that’s your buddies, or 2. get behind something fast, because the end result derezzes you into digitized bits). The new Forerunner weapons are excellent and satisfying, as when you earn a kill with one, your opponent turns into digitized bits, which in my opinion is the new “you just got owned” moment to experience. If Reach had the super cool assassinations (which also return), then Halo 4 has players being utterly vaporized into nothingness. Back all this up with the outstanding vehicles, new and old like the fan favorite Warthog, and the new lumbering mech called the Mantis that absolutely devastates infantry and vehicles alike, and you’ve got yourself one solid game gameplay experience. 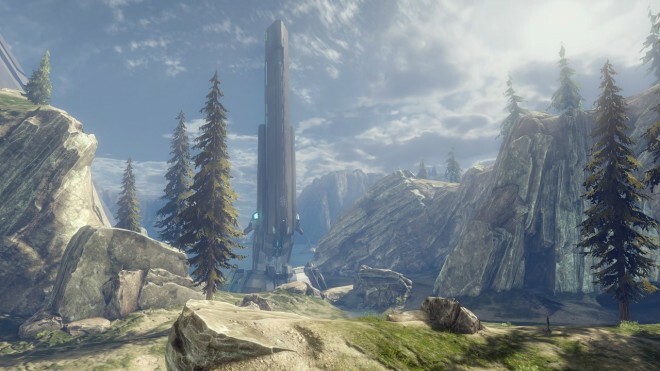 If you haven’t noticed by now, Halo 4 is gorgeous. It looks so good in fact, I daresay it rivals Battlefield 3 and is probably one of the best looking titles on the Xbox 360 to date. How 343 squeezed this beautiful thing out is beyond me, but the fact that I can play it with a smooth frame rate (some drops during really intense moments) at a surprisingly 30 frames per second is astonishing. While I can clearly see the difference between the Frostbite 2’s engine at 30 fps and 60 fps, Halo 4 manages to look solid through and through and always looks its very best. From an artistic view, the game introduces new elements into the mythology of the Forerunners, along with new architecture and backgrounds that are stunning. This not only makes this the most beautiful Halo game yet, or the most artisticly creative one, but also one of the best looking games this year. Going hand in hand with the graphics is the excellent sound design. Again, I can’t express how good this game sounds both in its score and its explosions! When you rev up the Railgun and fire it at your friend, you feel it blasting from your hands just as much as your opponent feels it slamming into him. The guns, mortar cannons, vehicle ignitions – everything sounds absolutely incredible, even more so when you can hear the music which, to some people’s dismay, was done by Neil Davidge and not Marty O’ Donnel. But believe when I say, just like Halo 4 itself, the score is a natural evolution for the franchise, and Davidge nails it. There are 13 maps that come packaged in the game (10 multiplayer, and three forge) and unlike Reach, which used the exact areas from the campaign, Halo 4’s maps are brand new arenas and are just as crazy as ever. With large vehicle excursions on maps such as Longbow and Exile, to smaller arena maps like Adrift and Haven, each map is varied and unique, having multiple pathways and shortuts that can cater to anyone’s play style. I will say the maps are much more vehicle based this time around, and I actually enjoy that, as Reach was really lacking in that department. Also, new game modes like the insanely fast-paced but incredibly addictive Regicide makes its debut, along with the new Flood mode, allowing players to become the Flood and attack survivors! Add in Dominion, a territories-like game that gives players access to bases with turrets and vehicles when they capture bases, along with the old favorites like Slayer and CTF, and you’ve got a deal! Now, some additions such as automatic flag/ball pickup, along with a throwable ball make their debut and, surprisingly, make the game even more fun than usual and help end the game in a plethora of yelling and screaming, just like the good old days. Couple that with the depth of customization like weapon skins, armor, unlockable emblems (which I may never understand as to why I have to unlock something like an emblem for use), and tactical and support upgrades (use Dertexity. Believe me. It’s a life saver) and you have one of the most balanced games in the Halo series, if not the entire year. The specializations that become available after reaching rank SR-50 will certainly keep you give you something to look forward to and provide a whole new palette of abilities to experiment with. Most people know that the Halo community is one of the most vocal communities out there, but also one of the most creative and interactive. As with a new Halo title, you can expect a plethora of new maps, films, screenshots, and gametypes to come from them for months to come, but with that, 343 tried something different: a wildly crazy idea that at this rate, if it works, then I no doubt expect to see it implemented in other games to some degree as well. That idea is Spartan Ops. As with each numbered entry in the franchise, the developers once again attempt to change the way we play games (Halo: CE was the entirety of the FPS genre, Halo 2 was multiplayer and Halo 3 was social innerworkings of the community with Forge and Theater). Five new episodes each week detailing six months after the events in the campaign following the UNSC Infinity. While the extent of the plot is yet to be known, the little I played was fast and fun, getting better the higher in difficulty you go up. Coordinating with your friends on taking out a Promethean Battlewagon has never been so fun. The only problem I could have is how the experience could be kept fresh, but I know better, as 343 doesn’t need to prove themselves, they already have. If kept up, this could potentially lead us to Halo 5, which judging by the events in the campaign, I can’t wait to see where Chief’s next adventure awaits. I, like many Halo fans, was initially scared and cautious of Halo 4 when it was unofficially announced at the end of Halo 3. We wondered what would happen next. When it was officially announced and news trickled out regarding the game, many became concerned that it would become too much like the competitor; Call of Duty. I mean, why would a beloved franchise like Halo copy off the game that copied off of it. Well, I’m here to tell you Call of Duty it is not. Halo it is. And if anyone needs to be doing the copying, its Call of Duty. 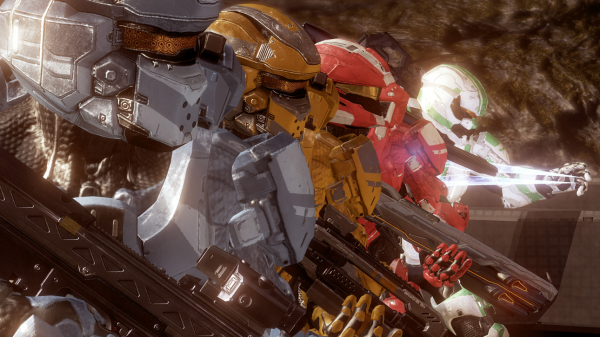 Trust me when I say Halo is back, and its the best thing not since three, but since Halo: CE. It’s that good. So lets give it up for 343 Industries as they’ve done the impossible: They made a better Halo game than Bungie. Well done 343. Well done. And as for Halo 5? Lets not wait another five years, because this wait was damn near unbearable. Welcome home Halo. Do you harbour the same thoughts? 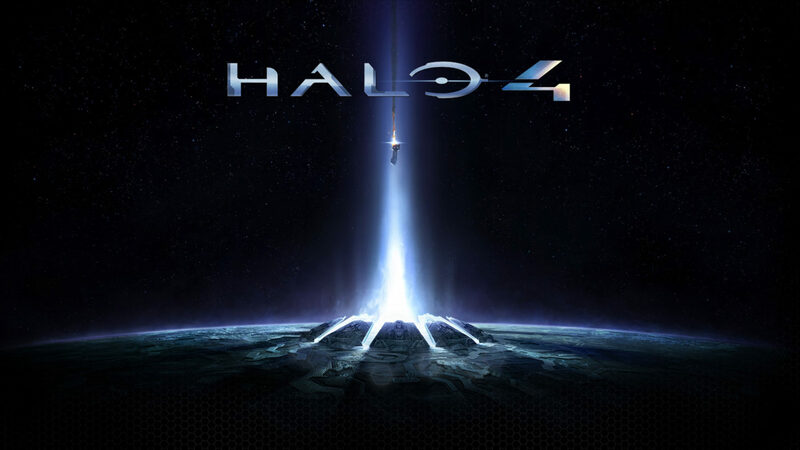 Is Halo 4 the true reclaimer in this generation of first-person shooters? Share your comments below!